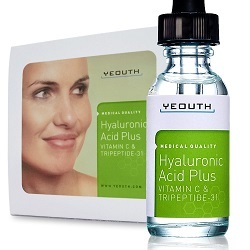 What does YEOUTH Tripeptide Hyaluronic Acid Serum do? The revolutionary Tripeptide-31 complex is the point of difference between this hyaluronic serum and others I have reviewed. This complex therefore, promotes the production of collagen cells and helps to counter and reverse skin damage. Along with the hyaluronic acid, which is a super hydrator and vitamin C which is a potent antioxidant, this YEOUTH Tripeptide serum, reduces dark spots on the skin and other signs of aging caused by free radical damage. 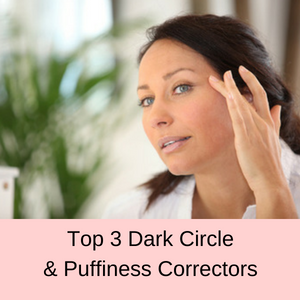 It pumps-up fine lines and wrinkles and so reduces their appearance and tightens the skin. 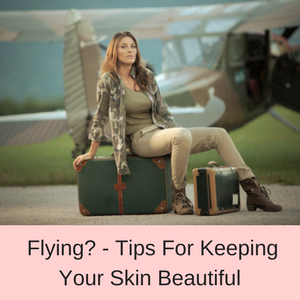 The result is a complexion that is more youthful, healthier and radiant. >>> In a rush? 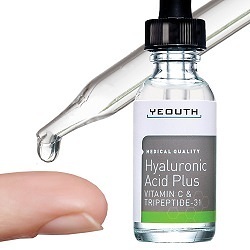 To skip my review and see the best price I could find for the Yeouth Tripeptide Hyaluronic Acid Serum, click here. 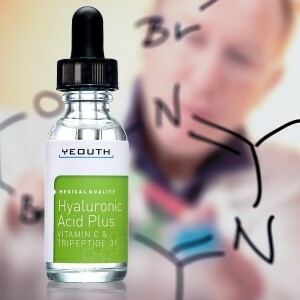 This YEOUTH Tripeptide hyaluronic acid with vitamin c serum is suitable for all skin types, particularly sensitive skin as it does not contain parabens, sulphates, alcohol or fragrances. It is also cruelty free and suitable for vegans and has a non-greasy formula, so it is not sticky and does not feel oily on your skin – instead the serum simply absorbs immediately into your skin. How do you use this Tripeptide Serum? You can use this serum morning and night, on your face, neck, decollete and the back of your hands. Just cleanse your face and whilst your skin is still damp, smooth a few drops of the serum onto your face and neck. Once the serum is absorbed, follow with your moisturizer and makeup as desired. 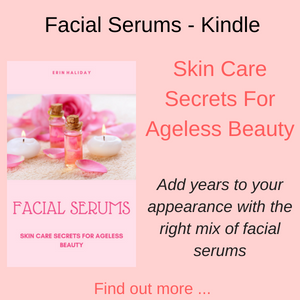 This hyaluronic acid serum is cruelty free and is suitable for vegans and those who do not want to use products containing parabens, fragrances, sulfates or alcohol. However, a point to note is that even though it is advertised as alcohol free, it does contain Butylene Glycol – which is a form of alcohol. This serum contains Hyaluronic Acid, Myristoyl Tripeptide-31, Magnesium Ascorbyl Phosphate (vitamin C) and Butylene Glycol. What does hyaluronic acid do? 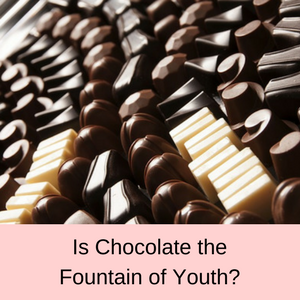 Hyaluronic Acid is sometimes called the fountain of youth, as it can hold more than 1000 times its own weight in water; it is therefore a super hydrator. Hyaluronic acid is produced naturally in our body and it helps to keep our skin hydrated and supple, but its production is slowly decreased as we age. 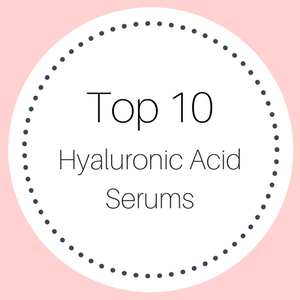 The benefits of hyaluronic acid include a much more hydrated skin, a smoother and suppler texture and reduced fine lines and wrinkles. Most people find that products containing hyaluronic acid really do hydrate their skin and it doesn’t take long to see the effects of this super hydrator. Hyaluronic acid also helps to stimulate the production of collagen, which is why this serum not only hydrates your skin, but it also helps to tighten your skin as well (because collagen production is stimulated). 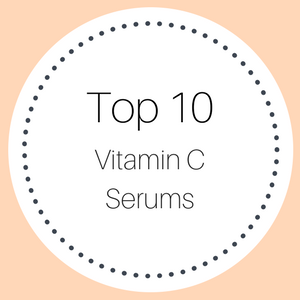 Vitamin C is a potent antioxidant, which helps to fight and reverse the signs of aging in our skin caused by free radicals. Fine line and wrinkles, dark spots and dull skin are all minimized and your skin looks more radiant and youthful. Vitamin C is also a key element in wound healing and cellular repair, also in promoting the growth and production of collagen. Apparently this is a formulation that mimics the actions of retinoic acid. Retinoic acid is used to treat many skin problems, severe acne and the signs of aging are common uses. 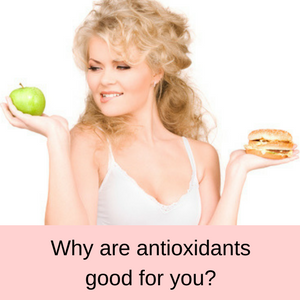 The problem is that retinoic acid can not only cause skin irritation in some people, but it is also classified as a prescription drug and cannot be used in cosmetics. So Myristoyl Tripeptide-31 mimics the actions of retinoic acid and is said to be very effective in reducing wrinkles and hyperpigmentation, without the side effects sometimes seen using retinoic acid. 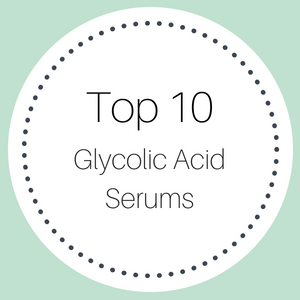 Butylene Glycol is a common ingredient in lots of different skin care products, such as moisturizers, sunscreens, eye creams, mascaras and foundations. From a chemical point of view, glycols are a class of alcohols and are used as solvents and thinning agents. The Cosmetic Ingredient Review (CIR), the World health Organisation and the FDA have all found that butylene glycol to be safe. However, some people do report having a sensitivity to butylene glycol, so just be aware that this serum does contain this glycol. PROS: More than 80% of customer reviews gave this serum a 4 or a 5 star rating. Most people have seen a remarkable reduction in skin discolorations and age spots, even on their hands and forearms. 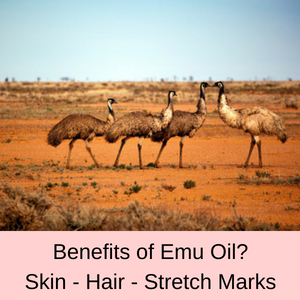 Their skin is suppler and their fine lines and wrinkles are greatly reduced. Many reviews were from women in their forties or above and all seem to really like this product. CONS: Only a few customers have given this serum one or two stars. The main problems were that they didn’t have any noticeable results from using this serum or they felt that it dried their skin too much (applying the serum to damp skin and using a moisturizer afterwards, usually fixes this problem). I could see the results within the first 2 weeks. I would recommend it. Have purchased this about 8 times or so now, and will continue to use it. The best serum I have ever bought! it really does what it says it does!! I am 61 years old with all the skin issues that come with age…laugh line, crow’s feet, age spots and within 1 week I already can see the difference. Lines are softening & my overall complexion is clearer & brighter…Love the consistency & it goes on so smoothly. I really like this serum! It’s the only one I have been able to use during the day, under my make-up. I have very oily skin, and this serum is very light…not tacky feeling at all. 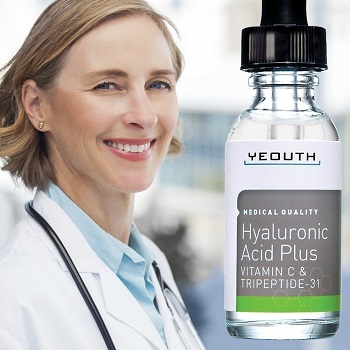 Does the YEOUTH Tripeptide Hyaluronic Acid Serum work? Given the reviews of the customers, this hyaluronic and vitamin C serum does live up to the hype. It reduces fine line and wrinkles, plumps-up the skin and very noticeably reduces skin discolorations and age spots. 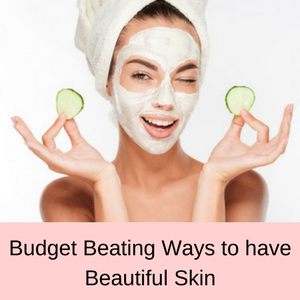 As we age, one of the problems are these pesky age spots, so if this product actually works to reduce these, especially on the hands, then it is worth every cent. It is one of the more expensive hyaluronic acid serums, but it appears to be one of the best in reducing the signs of aging and sun exposure. Hyaluronic acid with vitamin C are a very effective combination of ingredients within the anti-aging cosmetics industry. I have not seen the Tripeptide – 31 complex used in any of the other serums I have reviewed and it seems to be a very effective addition to facial serum ingredients.